Three years. That's how long I've wanted to attend WPPI. But in the back of my mind, I still had that little question as to whether or not it was worth it. Honestly, Las Vegas is the last place I would choose to go for a vacation. I knew that everyone who was anyone would be there, but really, I'm just me--a still pretty new, relatively unknown girl who lives in a state that is supersaturated with photographers. What would I do, go up to one of those superstars, hold out my hand, and introduce myself as one of their thousands of blog readers? Uh, yep. That's exactly what I did. Dorky or not, most of them were genuinely nice and happy to meet me! It was also wonderful to catch up with those I already knew and get to know them better. 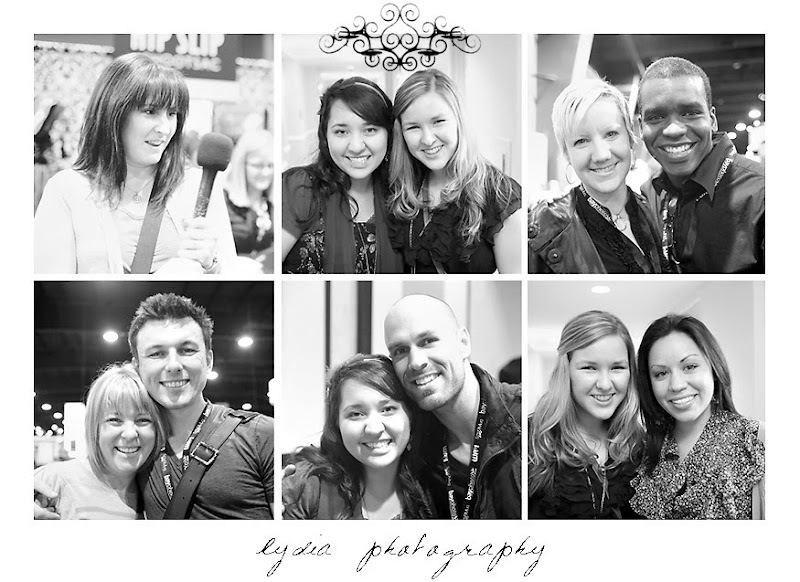 The amazing classes and tradeshow were just the cherry on top. So for those of you who have been wondering: yes, it's so worth it! 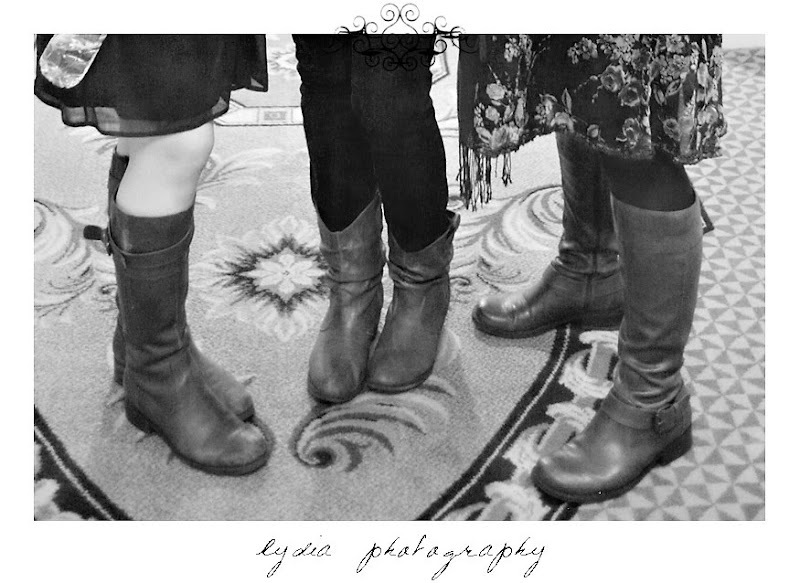 You can't tell exactly in this picture, but Jamie, Kristen, and I were the brown boot girls that afternoon. 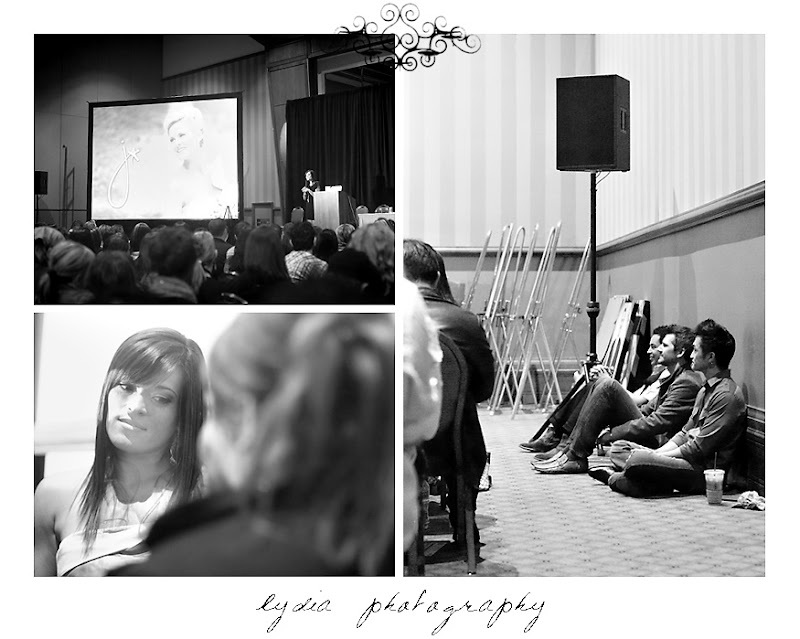 I just knew that Jasmine Star's talk would be extremely packed! She filled the house not once, but twice over! I'm not ashamed to admit that I was there both times. The first I was lucky to get a seat near the back; second time I took a friend and watched JD look adoringly at his beautiful wife. So cute and sweet! Mark and Candice were so nice to stop for a quick chat and picture. We stopped a random person (where else can you stop just anyone and they'll know how to use your camera?!) to take the picture...and she turned out to be not so random but the Heidi from my episode of AskDane! The only thing I'm sad about is that I didn't get a picture of me and my roomie, Michele! I'll do better next time! My goal is to go next year! BTW, I tagged you in a blog game! 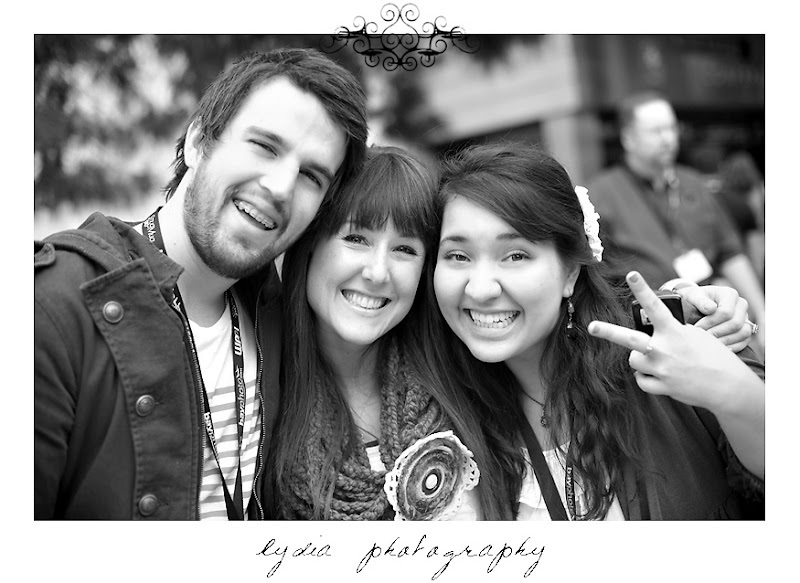 So glad you decided to go to WPPI because I got to meet you! 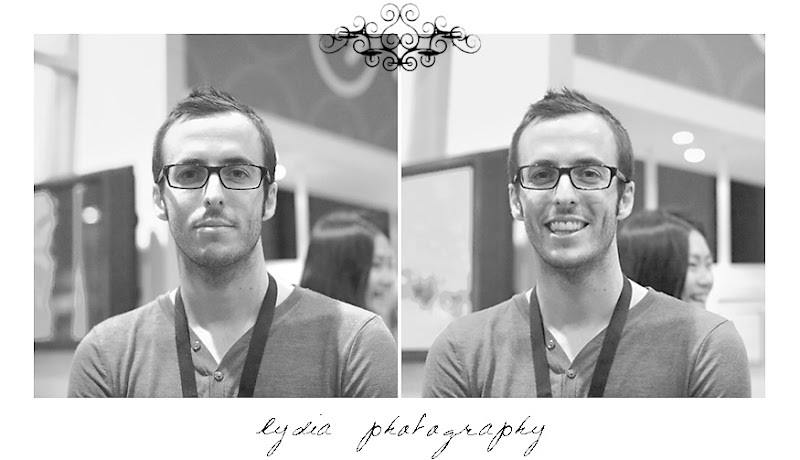 :) And now I'm on your blog! YAY! yay! 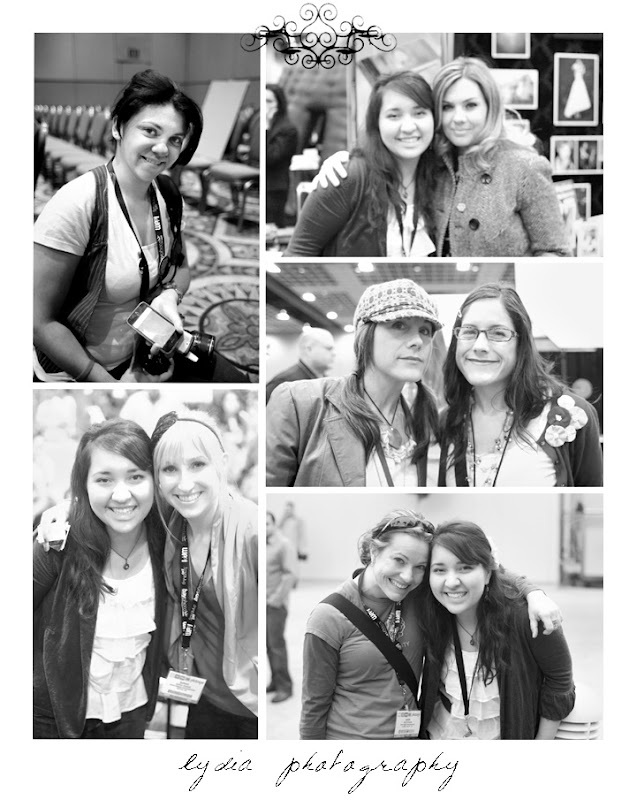 wppi is always a good time!